Fundraising success is measured by our promise to help raise funds for your team or organization. For over 10 years we are proud of our association relative to funds raised in the GTA (Greater Toronto Area) and surrounding areas assisting in the endeavours of active youth in sport, school, and community connections through North Country Meat & Seafood's fundraising program. Clearly the importance of fundraising in such activites makes participation for many available and affordable. North Country Meat & Seafood fundraising program - serving Toronto to Bracebridge and from London Bowmanville. Q: What is better than the sweet aroma of FRESH BAKED goods in your home? A: The aroma of sweet baked goods PLUS supporting a great cause YOU! 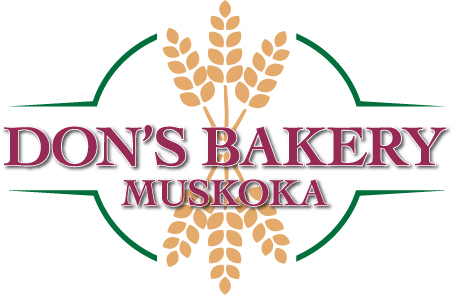 South Muskoka Minor Hockey is teaming up with Don’s Bakery Muskoka to help raise money for your players, all of the funds raised by you are returned directly back to your family! home. It’s so simple and so delicious! Go tell your friends! Go tell your family! Create a post on social media! Step 2 ● Get the word out and sell as many boxes as you can! HELP US REACH OUR GOAL OF SELLING OVER 200 BOXES! Thank you to everyone who participated in the Dons Bakery fundraiser. Please ensure to arrive on time to pick up all orders. Happy Holidays - Go Bears ! The Camp Muskoka Coffeehouse emulates a warm camp atmosphere with its log and timber frame construction, massive stone wood burning fireplaces and kind friendly staff. We offer fresh roasted coffees, lattes, and espressos, home-made sandwiches on freshly baked bread, creamy soft serve ice cream with super-yummy flavour burst and our famous homemade fresh baked muffins, cookies and cinnamon buns. Roasting our own coffee beans on site in our coffeehouse has allowed us to create our very own collection of delicious coffee blends which has also produced additional businesses to support the camp’s activities. Our Coffee Fundraising business where schools and groups can sell ASC Coffee as a fundraiser.